The On/Off, Adjustable Welding Angle has a unique and versatile design with magnetic bases that rotate on its frame for virtually unlimited welding angles. A simple turn of a knob activates and deactivates its extreme holding power, which allows precise placement and control and a non-marring release. The adjustable welding angle works on flat or pipe surfaces and easily allows debris to fall away when the magnet is turned off. 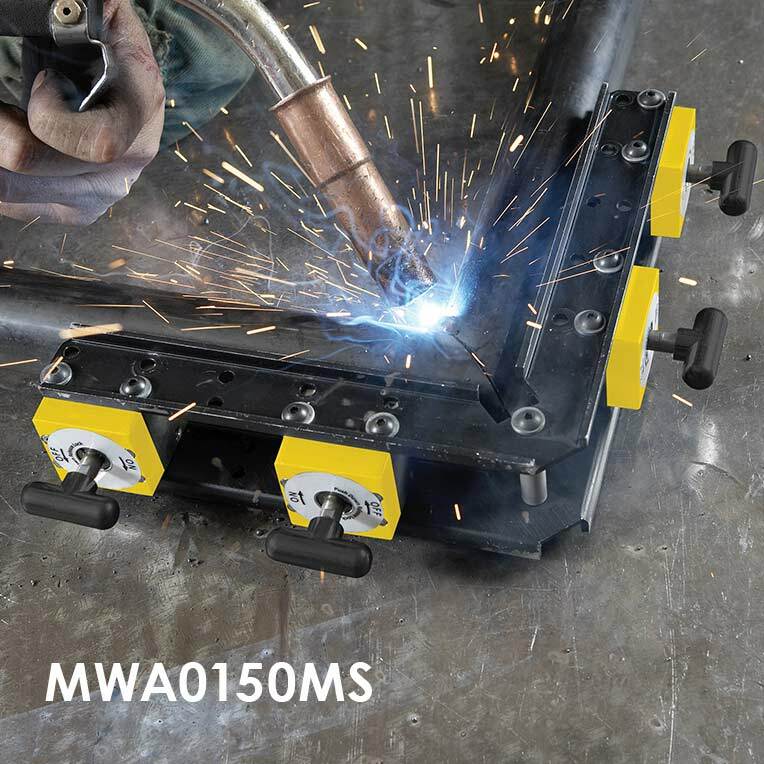 The On/Off, 90º Magnetic Welding Angle is perfect for 90º, heavy weld jobs and allows precise placement and extreme holding power. Its versatile design includes pre- drilled holes which allows for the addition of magnetic bases for extreme holding power or allows you to reverse the magnets for welding inside or outside angles. Holds on flat or pipe and has a locking knob for added safety. About IMI: Since 1961Industrial Magnetics, Inc. has provided innovative permanent magnet and electromagnetic devices to meet customer’s specific requirements in their material handling, workholding and automated or robotic applications. For more information contact: Dennis O’Leary Industrial Magnetics, Inc.